iota is a social brand designing beautiful handmade objects for the interior while creating jobs for otherwise unemployed people worldwide. iota’s foundations are based on three fundamentals: the use of handmade elements to create new, unexpected designs; the usage of luxurious bespoke yarns and materials; and being a social business. Our collection gives stage to our unique textiles which we develop and design and is based on the technic of Crochet knitting. Our products vary from rugs in different sizes to poufs, stools and benches, pillows and swings, everything textile oriented, some with complimentary materials or structures. We design our products respectively to our vision so they can be crafted in the homes of otherwise unemployed women whom we train and groom. 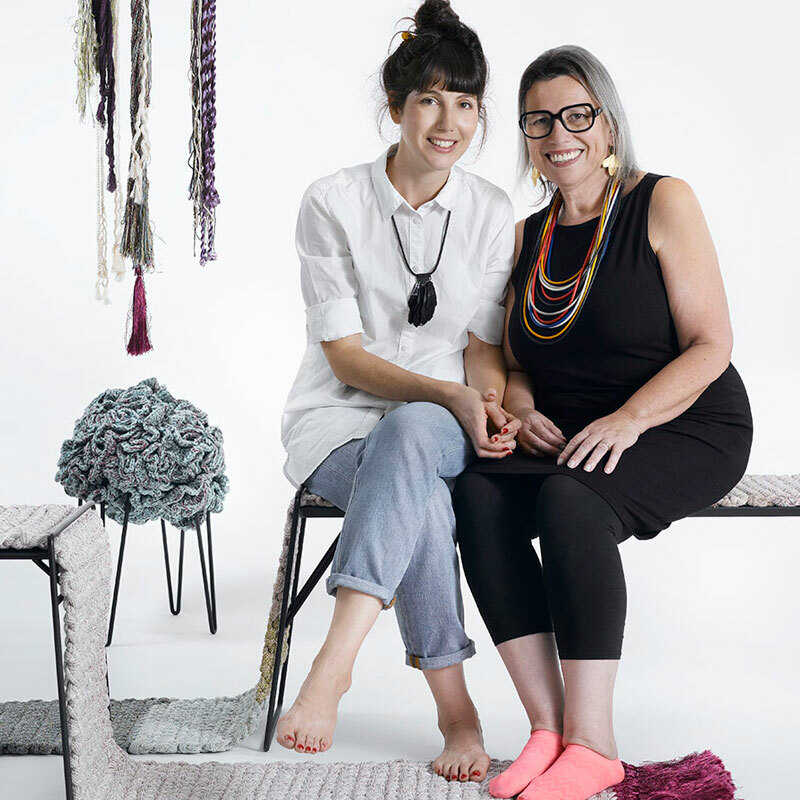 All our products are handmade by these women who create knitted elements in the comfort of their home and then send them over to our studio to be assembled into the final products. Our name has a meaning: ‚iota‘ stands for „a bit“ in Latin and as it is, little by little, from a single element to the final product, from the individual to the global, we aspire to make an impact on the lives of our clients, our employees and our community. The vision behind ‚iota‘ is to establish a movement that allows different people from around the world to learn the technique of traditional hand-craftsmanship, to provide them employment and allow them to earn an honest living. This idea contains a social responsibility and a way to maintain traditional arts by extenuating the importance of knowledge and skills. It also portrays the belief that regardless of the infinite possibilities that technology offers, people still seek for a personal and unique hand print. The main concept in our design is creating innovative products from a traditional starting point, and changing the perception of what can be done using hand techniques. 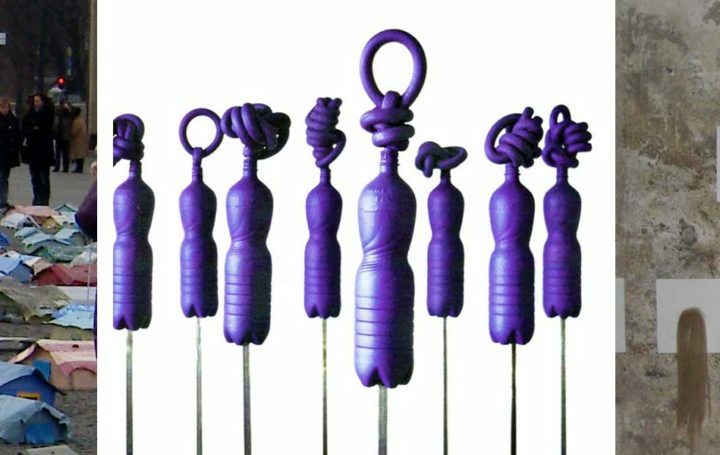 As they are conceptually built up from pieces, our products have a tactile nature which calls to create playful contact and combinations between shapes, colors and textures. iota’s products fit into the “in-between” spaces of our lives, filling emotional and practical needs by creating beautiful objects which also carry a social cause. The search for products and materials is done by physical research. We learn old techniques combined with modern knowledge and come up with new strings in colors that are unique for us. All these create a new textile language that combines various materials into unlimited products. We make tradition contemporary. 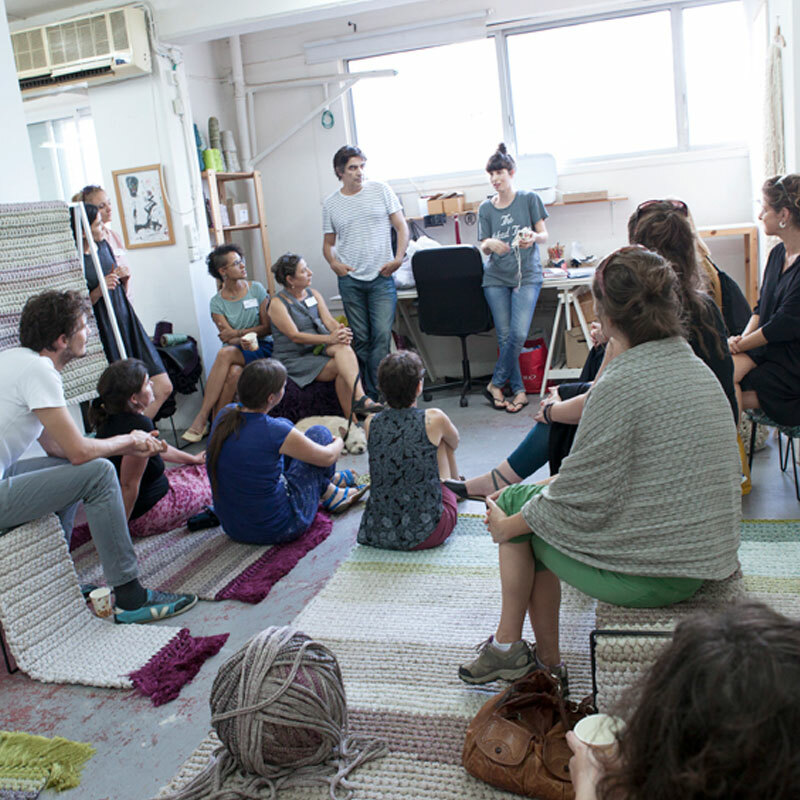 iota was founded in 2014 by Shula Mozes, a social entrepreneur who had a dream to utilize the craft of knitting, which she loves, into a social opportunity. 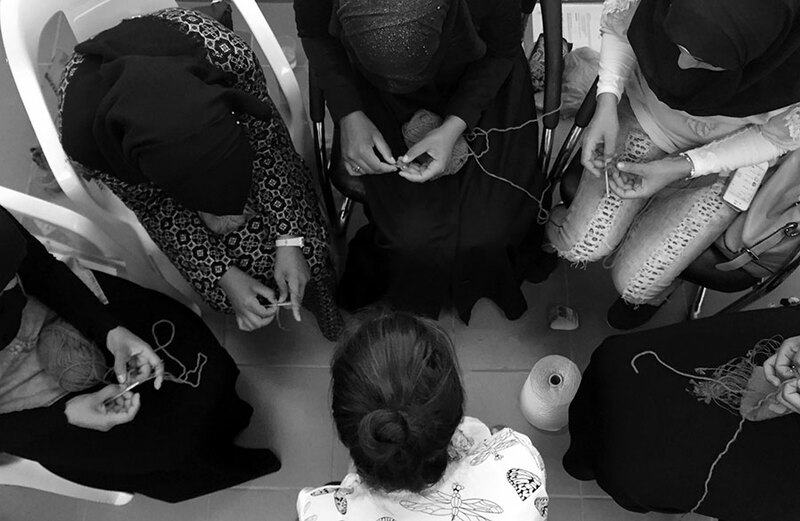 Knowing there are countless communities of women worldwide who are not able to work outside of the home, she felt that a design brand based on knitting could offer a solution for them and simultaneously be a platform for exciting and bespoke design. Shula reached out to Tal Zur, an Industrial designer with an inclination to crafts and an understanding in textiles, to be the creative mind behind the project. Tal fell in love with the idea, and together they set to build up their dream. Today, iota first of all is a social-business, both ecologically and socially conscious, with a commitment to sustainability and community support. The majority of profits from iota’s product sales are invested in welfare and educational programs worldwide. We aim to work within communities with high rates of unemployment, and provide mentoring and training programs for women. We work with people with no prospect of employment, giving those opportunities as we invest in their training and mentorship. We give our employees the option of working from home and reward them with fair pay, while creating a sense of community and empowerment. 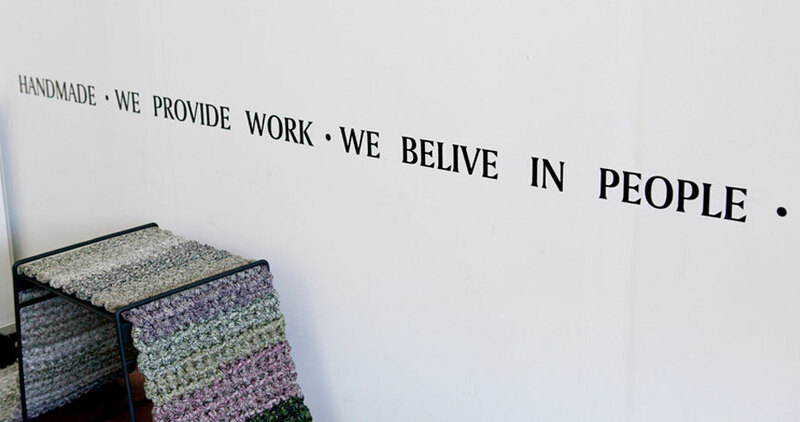 Our production process is completely transparent, and we absolutely condemn child labor and sweat shop environment. We teach methods of re-appropriating traditional craft techniques, which requires teaching of skills. We believe the importance of skills does not lie only in the final product but rather in the process. The process of hand craftsmanship, which necessarily requires time and attention from the craftsman, creates an emotional connection between him and the final product he created. This connection creates emotional products. The products embody the craftsman’s unique finger print and thus making him an inseparable part of the final product. As opposed to a machine which creates anonymous products, our handmade products have a past, a background and a memory. A skill, if utilized, can have rewarding qualities; rewarding to the product that is created as a one of a kind element; and rewarding to the craftsperson, whose skill makes him an expert, and therefore meaningful. This empowerment, deriving from owning a skill, is what we strive to preserve and enhance. 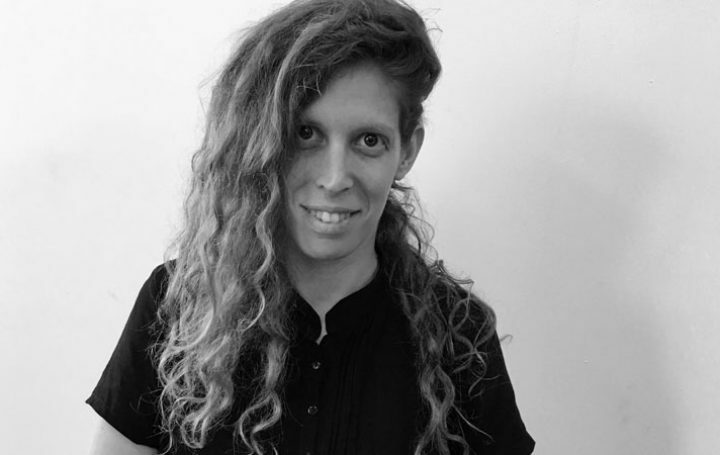 Dorit Chesler is a practicing architect, graduate of Tel Aviv University and the Technical University of Prague. Dorit specializes in preservation of building technologies and handcrafts. In iota, she is the head of operations, manages the day to day as well as all the brands contents, visuals and external relations. Aus Upcycling wird Kunst: Kurt Schwitters ist einer der Helden in der Kunst, der sich mit Nachhaltigkeit auseinandersetzte und damit viele Generationen inspirierte.